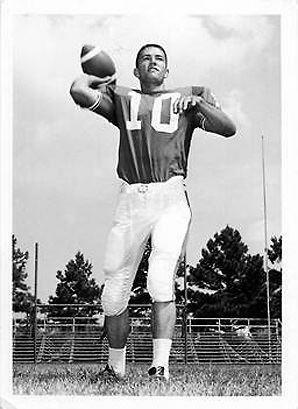 'Duck Dynasty' patriarch's secret past revealed: Phil Robertson turned down the NFL! Who cares about the Super Bowl when it's duck-hunting season? That's what "Duck Dynasty" star Phil Robertson believes. He turned down a chance to play in the NFL to pursue his real passion: hunting. That later led to the formation of his business selling duck calls and other gear, which in turn led to his family being spotlighted on the A&E reality series. Back in the late '60s, Robertson was a quarterback at Louisiana Tech, starting ahead of a guy named Terry Bradshaw -- who would later become a Hall of Famer with four Super Bowl rings. As detailed in Sports Illustrated, Robertson turned down an offer from the Washington Redskins his junior year to concentrate on duck hunting. "Throwing a touchdown pass to a guy running down the sideline, and he runs down with the ball for six, it was fun," he reminisces. "However, in my case, it was much more fun to be standing down in some flooded timber with about 35 or 40 mallard ducks comin' down on top of me in the woods. That did my heart more good than all the football in the world." Bradshaw recalls Robertson as someone who loved hunting more than football. In his autobiography, "It's Only a Game," the legendary quarterback wrote, "He'd come to practice directly from the woods, squirrel tails hanging out of his pockets, duck feathers on his clothes. Clearly he was a fine shot, so no one complained too much." Robertson's quitting football worked out for everyone involved. "At the time, no one quite understood what exactly was my problem ... but what they didn't see then, they get it now," he says. "Because as it turns out, what am I talking about now?" He's talking about "Duck Dynasty," a hit for A&E that has catapulted his self-professed "goodoleboys" family into the spotlight. The show has had its share of controversy -- singer Morrissey recently canceled an appearance on "Jimmy Kimmel Live" because the ardent animal-rights activist didn't want to share the same program as the Robertsons. The humble family didn't take it personally. 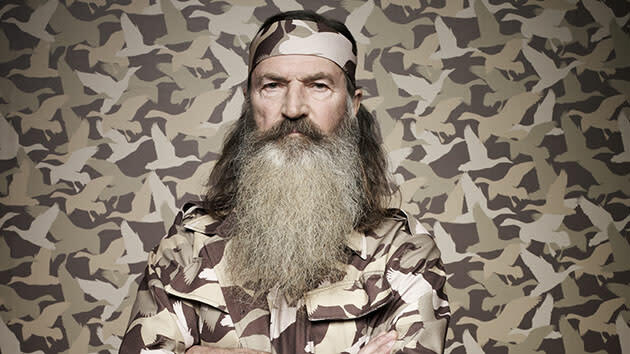 Phil Robertson told local newspaper the News Star, "Whoever he is, I don't hold it against him." "Duck Dynasty" premieres Wednesday, 2/27 at 10 PM on A&E.